It's another market inspired menu this week! Stock up on tomatoes, corn, fresh herbs & radishes. Sign up for our Weekly Meal Planner Email Newsletter here to have 6 great dinner recipes (along with a full shopping list) delivered to your inbox every Sunday! We love the slight spice this easy tomato sauce gets from the fresh jalapeño, but feel free to skip it if you are cooking for little ones. 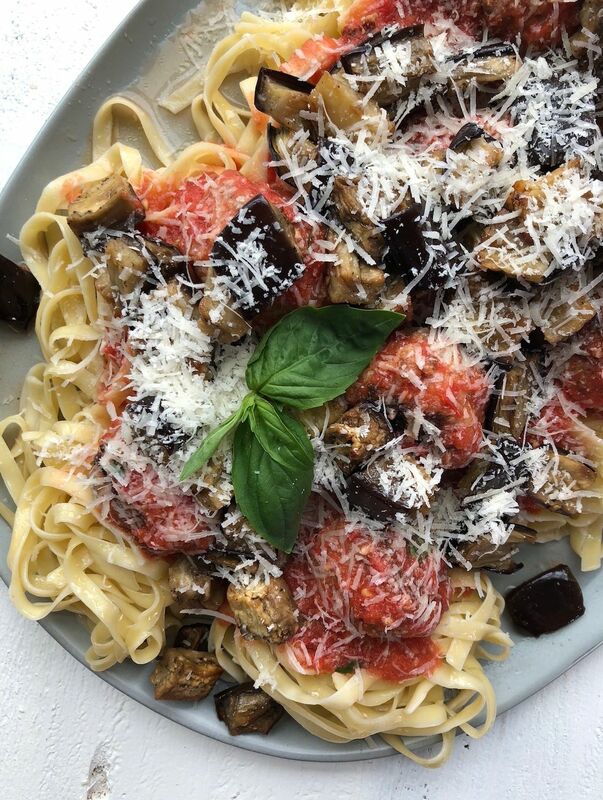 Feedfeed Tip Not feeling the eggplant? Swap it for roasted zucchini instead! 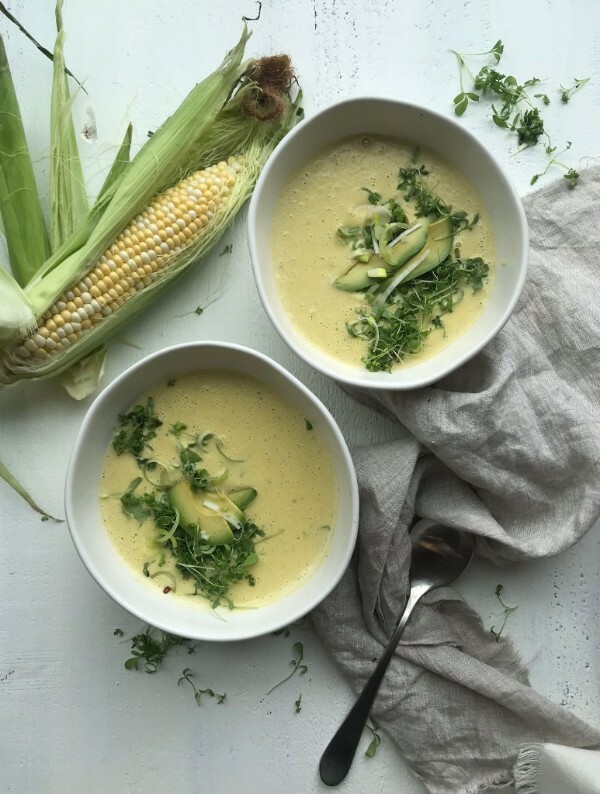 Celebrate sweet summer corn with this easy & flavorful bisque. Feedfeed Tip For added corn flavor, simmer the corn cobs with the soup liquid and remove and discard just before blending. 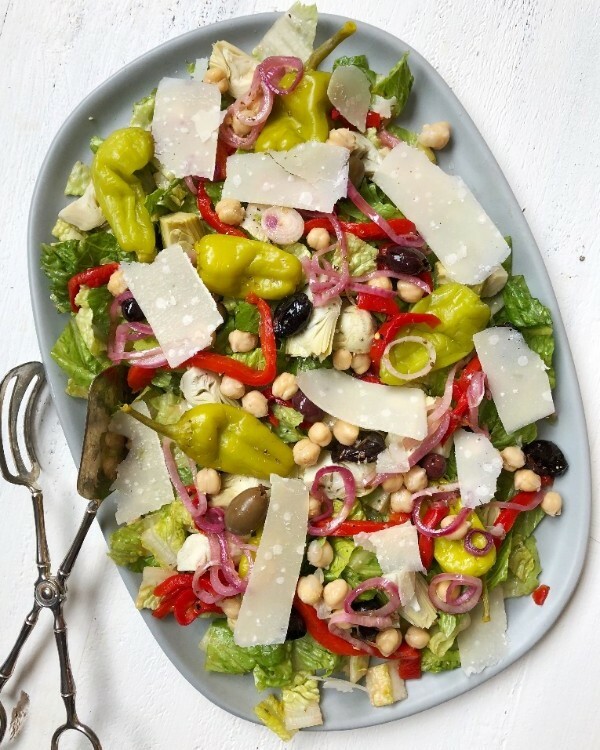 This salad has just about everything you could ever hope for in a dinner-worthy salad! Feedfeed Tip Craving a little more protein? Serve this with oil-packed tuna for a wallet-friendly protein boost. Our own @cookshala made this for a team lunch last week and all we can say is stop and make it immediately! 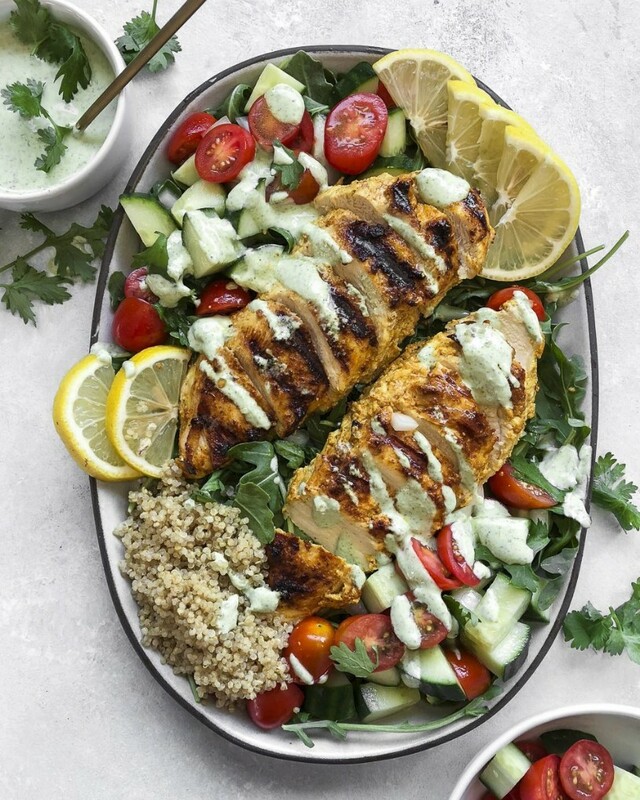 Feedfeed Tip Using yogurt to marinate chicken (or most meats, TBH) will give you a tender, juicy and flavor end result every time. Even if you only have 15 minutes to marinate, it will be worth it! Did we mention we eat really well at The Feedfeed Brooklyn? 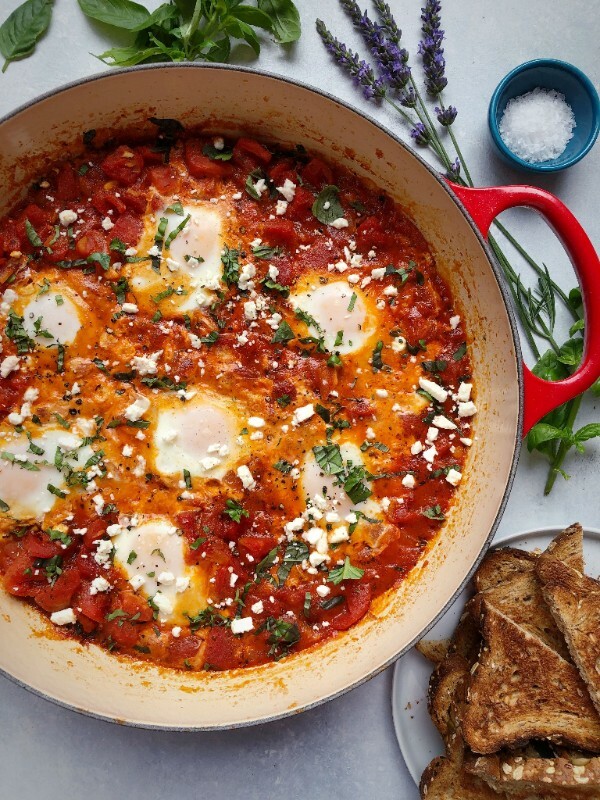 Our own @what_she_ate whipped this up for a team breakfast, but you should consider making it for breakfast, brunch, lunch dinner or all of the above. Is the weekend here yet? 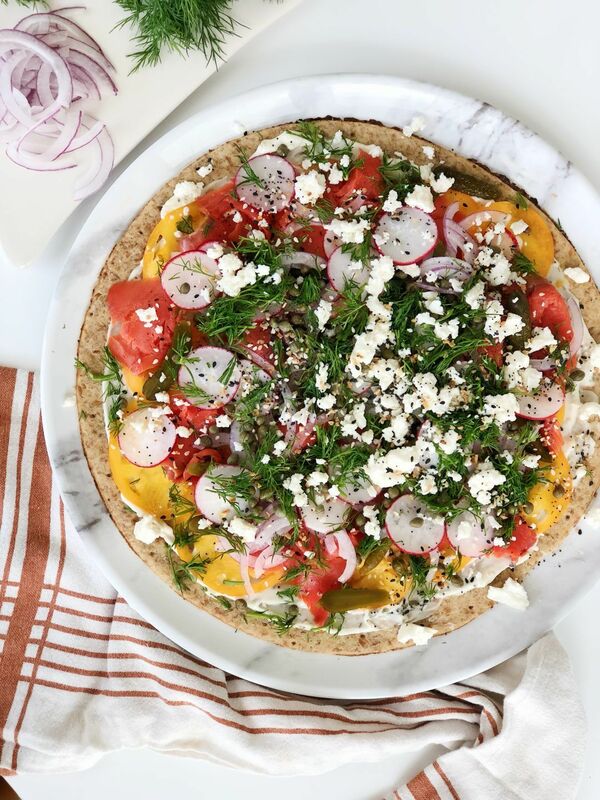 This brunch-worthy pizza will be the highlight of your week! We call for all of the ingredients you need to make a homemade tartar sauce for this pizza, but feel free to use store-bought if that's all you have time for. Feedfeed Tip Can't find pre-baked pizza crust? Use a few everything bagels as the base of the brunch-inspired pizza instead. 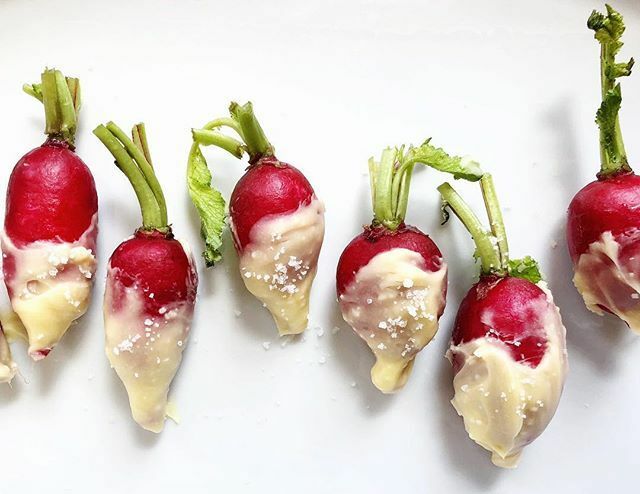 Ever had a buttered dipped radish? Allow us to introduce you to your new favorite snack.